Why You Use These Music Player? Music is a big part of the entertainment. Naturally, we are always ready to get entertained especially, when we are in the jolly mode as well as sad moments. But, the best quality music player can greatly increase the quality of music. And obviously able to give you the best flavor. Are you fully satisfied with the music player that you are using now? 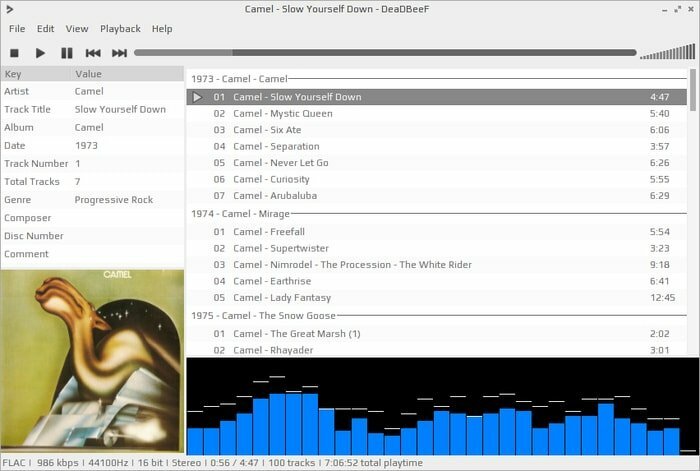 We have a small collection of some best Linux Music Player for you. These are specially created to give you the real feeling of the music. Are you ready to taste them? It is a really little bit difficult to find out the best music player. After a couple of week research, we reach the level to find them. Here, we gather some best quality Linux Music Player. Select your favorite one as you like. Clementine is an example of the best quality music app. And, it is more suitable for Linux OS. On the other hand, this player also works on Windows and Mac OS. Benefit? The player offers you a great variety of additional features such as a customizable interface, the creation of a playlist, a sidebar for observing playlist, search option, and so on. 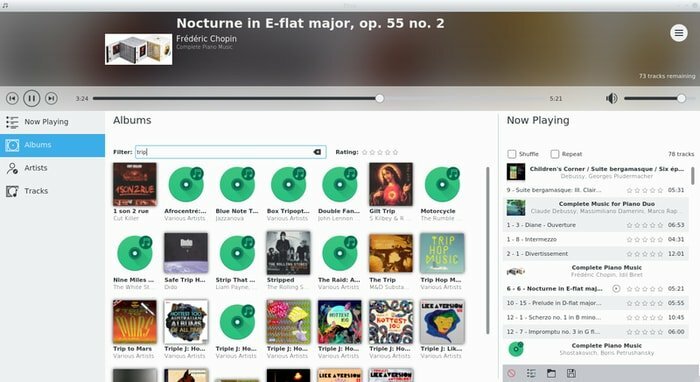 Every user like the features and mark it as the best Linux Music Player. Banshee is our second pick and this is the player that runs on most of the Linux distros, Mac OS, and Windows platform also. The player also works on many portable devices as like iPhone, Android device, etc. The player is suitable for playing both audio and video and you can also use it for playing the online multimedia file. VLC is one of the best well-known devices in this world. For its exciting features and quality, people like to use it. A wide variety of multimedia codes are installed within it and this is why it can play almost all format audio and video file. On the other hand, it gives you the option to enhance its quality by downloading more plugins. 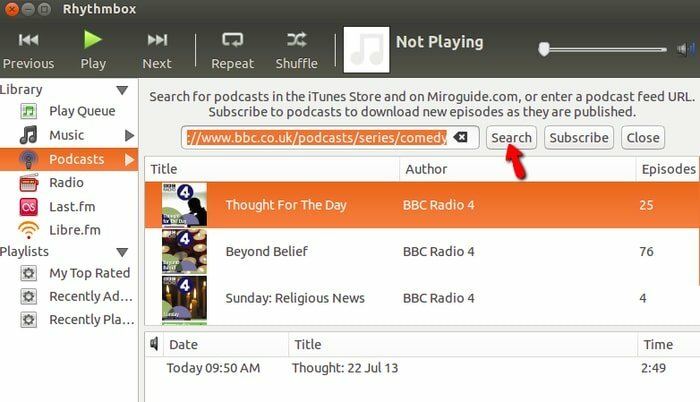 Is there any Linux Audio Player which gives you this facility? Amarok is default music player of KDE and it is most favorite music player of Ubuntu. It has some exceptional features which make it top Linux Music Player. Some of the features are notable such as compatible for a different format, built-in equalizer, lyric and artist search option, etc. 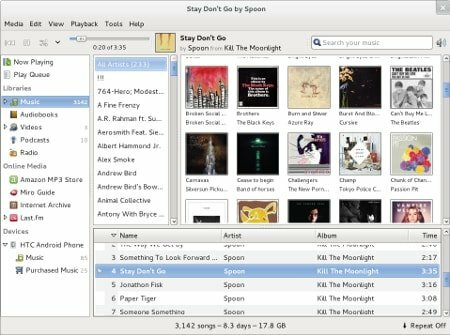 Rhythmbox is another popular music player for Ubuntu. It gives you to customize the interface entirely. You can add a lot of plugins for the better experience. 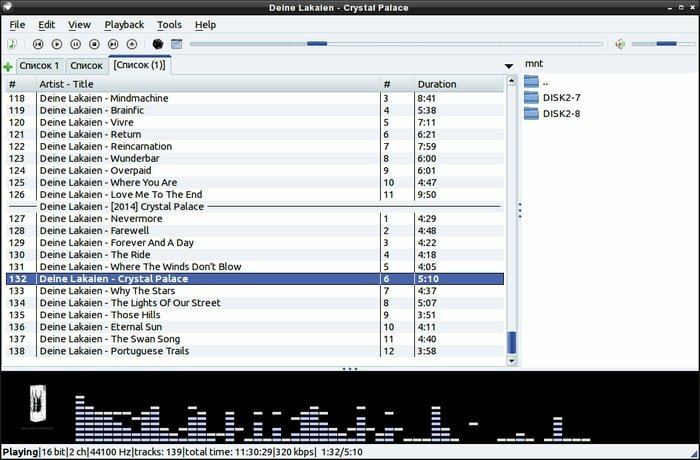 Built-in internet radio and podcast support is the exceptional feature of this Linux Music Player. It really gives you opportunity doing more than just playing music. Gnome Music is the music player that specially built for the environment of the gnome desktop. It provides you with limited features but it is really a unique music player at all. This music player is quite perfect for you when you need a lightweight application which built-in unique features. 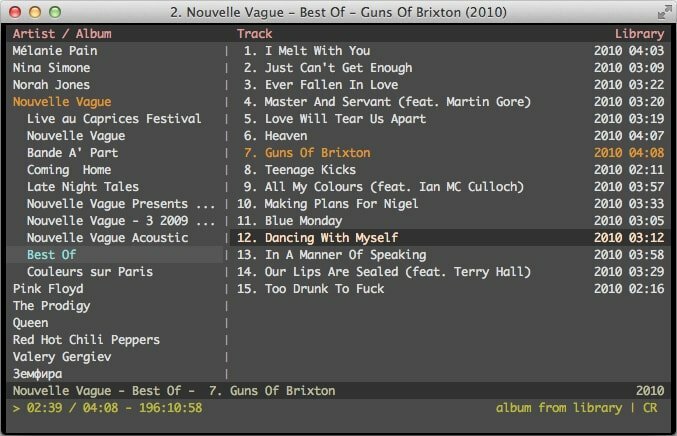 Audacious is the software that is considered as the best Linux Audio Player. This is the small software but it gives you a lot of options. Pause, skip song, repeat, shuffle everything you can do naturally with Audacious. On the side, it allows to customize it as you need. Add plugins and change the themes as you like. Interestingly, you can set alarm on it which is an exceptional feature as an audio player. Right? Is it seems a new name to you? The DeaBBeeF music player is not widely known that is true. But, this is a very good music player which is big true and everybody doesn’t know this true. It allows you to do everything as you need such as creating a regular and fixed playlist, adding plugins, metadata editing, and so on. QMMP is a very simple music player. On the side, this is as like as Winamp. This is really a perfect Linux Audio Player when you want a small and lightweight music app. Though it is simple, it can play almost all audio format file. The music app works on Debian, Arch, Fedora, OpenSUSE, Slackware, RedHat, and others. Just search by typing Linux Music Player you will find it on many platforms. Spotify, the music player comes to you with the beautiful and easy interface. You just don’t need to find any option on it. You feel everything is in your hand. The player always helps you to find the latest music and you can purchase. It definitely gives you the best feeling of music and after using you just love it. Cmus music player is easily compatible with the old and low configured computers. The software uses the minimum amount of RAM but it runs smoothly. Though it is lightweight, it is enough fast and powerful. Almost all types of audio format play here and you can change the themes as you like. And you can customize it easily. After all, it is really a good quality Linux Music Player. Lollypop is another music player by the genome. This maybe seems a little bit new to you but the player is very promising. The player is able to play almost all types of audio files. You can locate all songs and make a playlist by adding them using the app. It also allows the Android device to synchronize music by using the app. 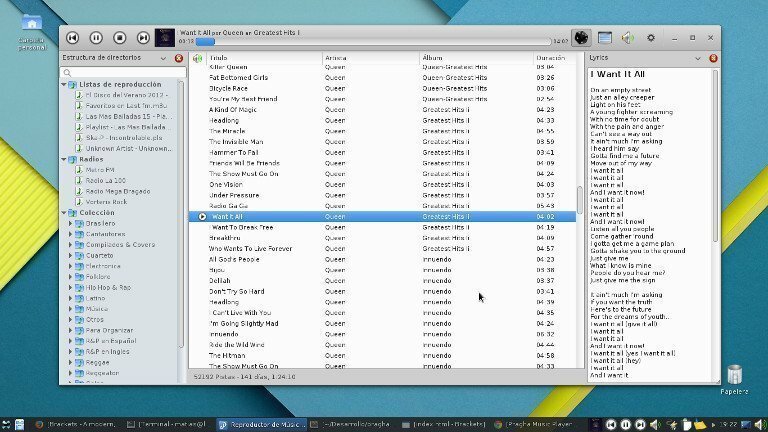 How many features and options need of a software to be the best Linux music player? You will find all in Cantata. The player comes with a lot of features to give you the best experience. 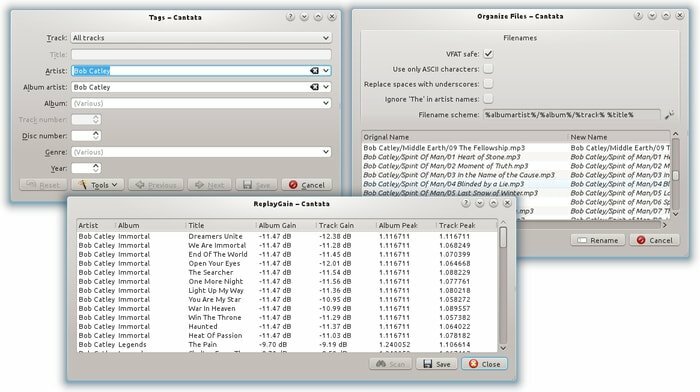 Cantata works on a different platform such as windows and Mac OS but the full features support on Linux OS. This is why it is considered as the superior Linux Music Player. Babe Music Player is not long-aged software in this music playlist. It has a simple design, clear and easy interface, and at the same time, it is a lightweight app. But, it is enough to power. It doesn’t have so many features but it has those which exactly you need. Elisa Music Player is the lightweight music app which is made for KDE desktop environment. Using this player, you can search by song, artist, or album. This is built specially to make it highly compatible with the KDE community. And this is why it works great on KDE desktop environment. The engineers are working to make it compatible with another platform such as Windows, Mac OS, and obviously for other Linux distros. There are so many music players in the online platform, but why you should use these players? 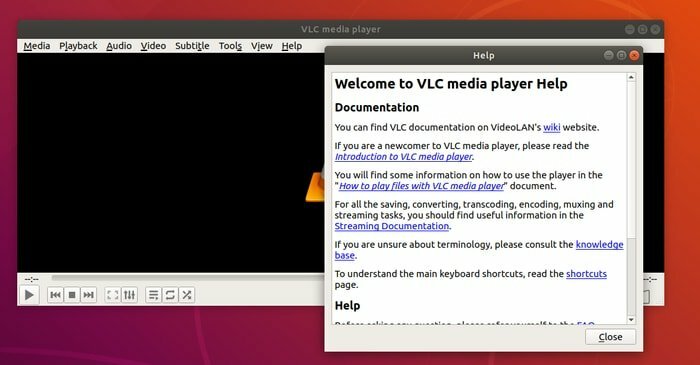 Are there any advantages of using this Linux Music Player? Here, we mention some points clearing you the reason for using this software. The first reason is we mention every player on where it runs. Suppose, you use Linux but you are using a music player which is best for Windows. So, what will be the scenario? You never get the best experience from it. Secondly, when you have an old desktop or laptop then it’s better to use a lightweight app. If you use a heavy player, it does not run smoothly on your device. We also mention which music player is compatible with which laptop or desktop. Then, some of the music players come with different features and some other allows adding plugins, change themes, etc. On the other hand, some come with limited features. We also told the fact on every player. The summary is a different music player is suitable for different types of user. And here, we clear it finely so that every reader can easily understand which is exactly perfect for him/ her. All the music players enlisted above are definitely up to the mark with the performance. 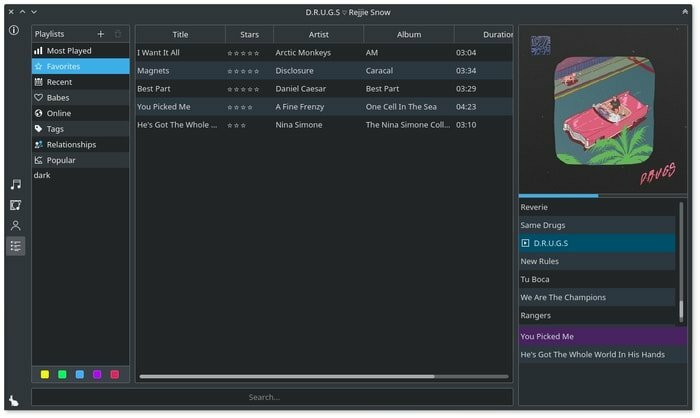 We believe these Linux Music Players will introduce you to the new experience of listening to music. We always inspire you to share your experience with us. Hope, you will never forget to share your experience after using these music players on this platform or other online media. I’ve tried all of them and not one is good enough to call mediocre. If this is the best then Linux is in sad shape for music players!